An interesting thing happened to me in the word Nisan here in this Megilla today. 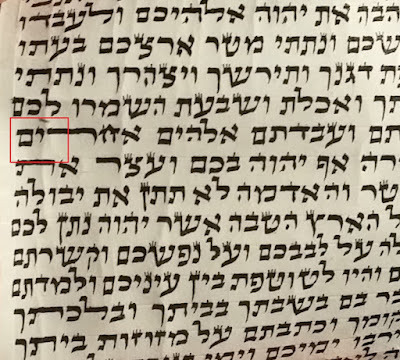 As I was finishing the Samech, on the very last point of connecting it in its top right hand corner, I touched the Koz RT of the Yud. There is no Shinui Tzura so I would usually be able to be Gorer and destroy everything in the Samech from the that point on. Since the point of Negia is also the point of finishing the letter what do I need to do? Can I just separate them? The real question is what do we consider as happening first, and if it happens at the same time then do I need to Mevatel Ha'Ot (since it happens Be'Et Ketiva)? 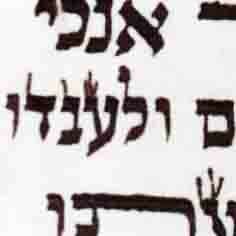 According to mishna brura all you have to do is seperate them, and both letters are kosher. According to keset hasofer you should mevatel the samech totaly, but the yud is kosher. I think in a megila you can definitly meikel as the mishna brura. 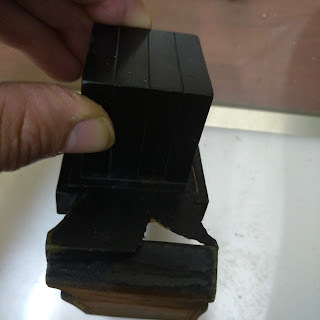 According to the Keset, can I just Mevatel the bottom part of the Samech and leave the Gag, since it was written in two separate pieces? The keset is quite machmir, that any pisul one should mevatel the whole letter. If you want to partialy mevatel the samech (according keset hasofer)this would probably be better, than just seperating them. But this is a big chumra because a ngiya [hekef gvil] is not considered according most opinions written b'pisul.